180g Vinyl - Gatefold Sleeve With 3D/Lenticular Cover. The NEW Album of this Australian Heros! 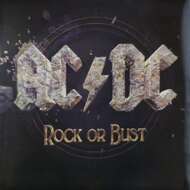 AC/DC - Rock or Bust ... Play Ball from Georg Ryter on Vimeo.